GoldCoin is being made into a high value platform intended to be a lasting foundation for the world’s financial systems, don’t get left behind. 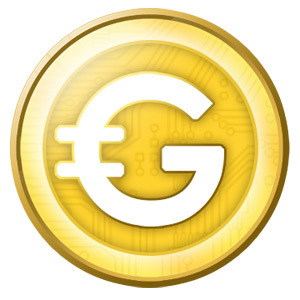 GoldCoin (GLD) is an improved version of Litecoin currently using scrypt as a proof of work scheme. GoldCoin is faster than both BTC and LTC in terms of confirmation times and features an innovative 51% attack defense system. Golden River difficulty retargeting uses median and average times in accordance with various pre-defined clauses in step cases to provide near-best case movement without a pre-determined curve. The result is that while KGW and their variants are prettier to look at in their implementation, Golden River vastly outperforms them in cases where the difficulty needs to drop quickly. With Golden River the network difficulty can fall ~42% in a single block and still be accurate, in terms of the targeted block times, to the network hash rate. Furthermore those algorithms typically over-adjust upwards leading to network slow down, whereas Golden River is on the spot with these changes.